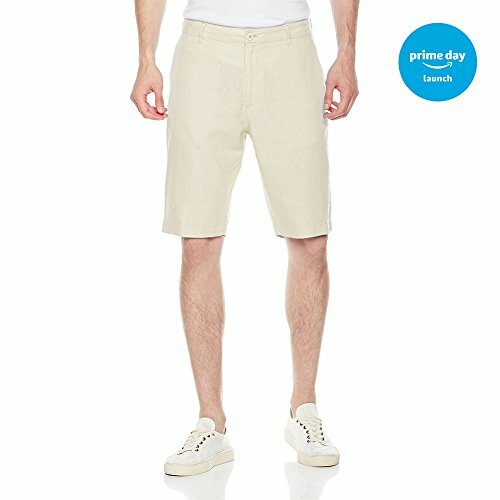 An Amazon brand - A solid short made with linen blend for beach or dinner date, a Hawaiian lunch, Florida evening, LA celebrity sighting or even a Seattle summer afternoon Our unique Linen fabric is a natural woven fiber that's lightweight, comfortable, and smooth to the touch ,even in hot, humid weather could make you comfortable. Isle Bay Linens would be a perfect choice to take on a tropical vacation or to wear as business casual in muggy weather. If you have any questions about this product by Isle Bay Linens, contact us by completing and submitting the form below. If you are looking for a specif part number, please include it with your message.